It’s almost come to a close. 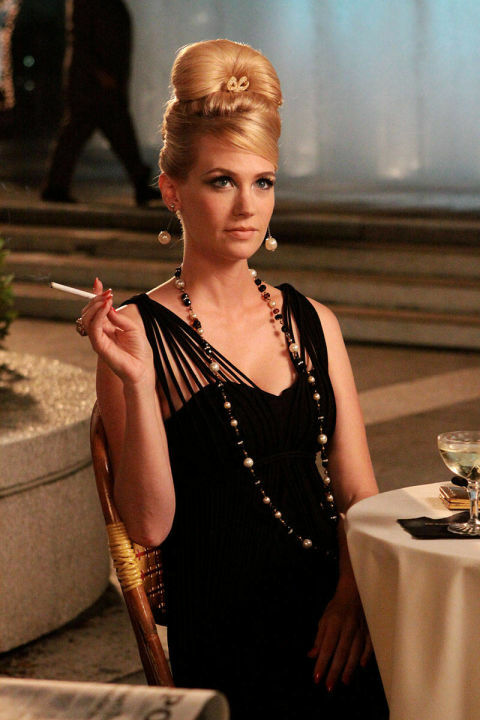 Tonight is the very last episode of Mad Men evah. Whether it will end as it has always begun, with a man falling from a window, or in one of the many conspiracy theories (Don Draper = DB Cooper anyone) or maybe to be really subversive, just with a storybook happy ending, it’s ending. I’ve watched the show since its first episode, I truly believe that in its entirety it is a work of art. It’s proof in and of itself that those people who shrug and say “I don’t have a T.V” with a condescending smirk are basically philistines of the 21st century. 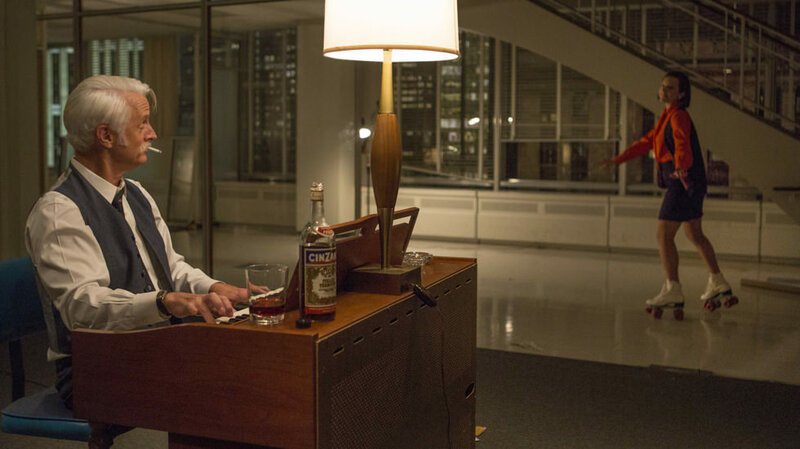 From Jon Hamm’s micro expressions to the always on point writing of Matthew Weiner and team, it’s exceptional television and always a joy to watch. Part of me would love to see it journey through the 80’s, 90’s, the rise of the DotCom, Web 2.0 – does anyone else need to know what Don Draper thinks of Snapchat and Mark Zuckerberg?? But the rest of me knows it’s time. So as I prepare to bid adieu, I got to thinking how I’d like to say goodbye, a fashion round up came to mind, but everyone and their great aunt has done one of those at this point. 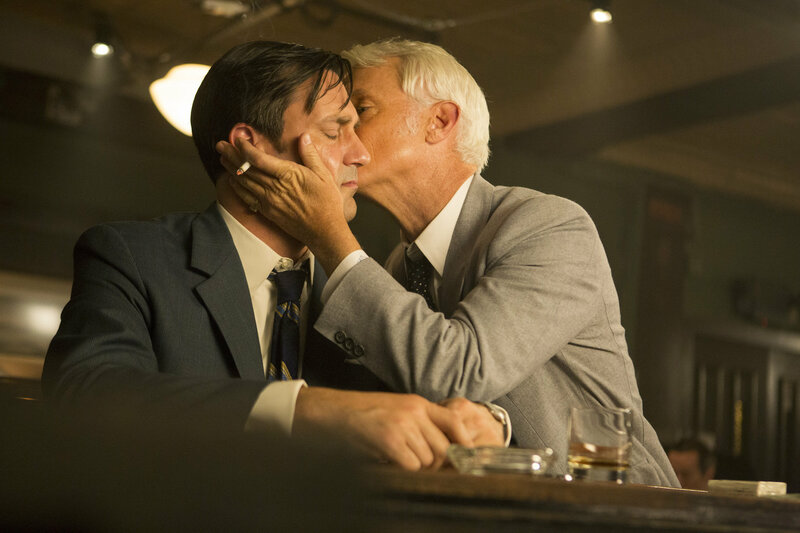 So I started to think about my personal experience with Mad Men. 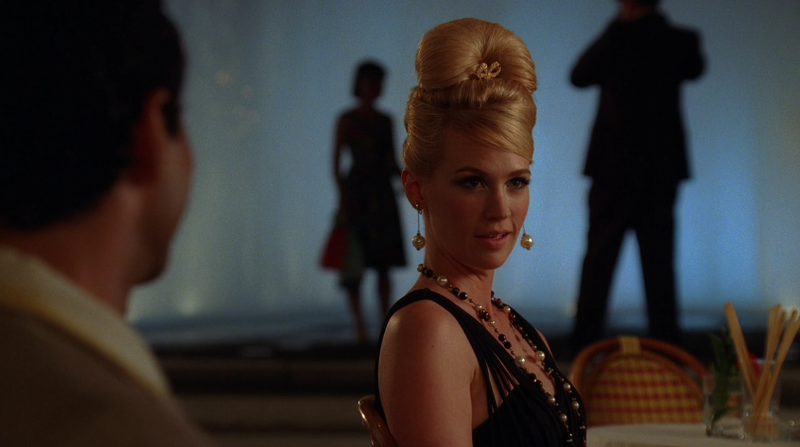 The show started when I was still acting, I remember as part of Central Casting I’d get casting notices for Mad Men all the time. 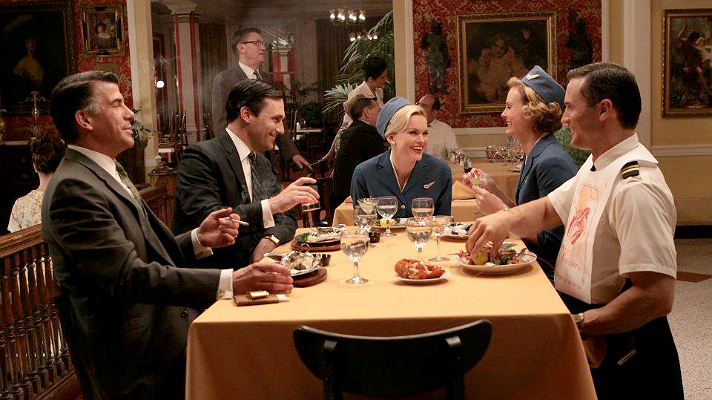 The tales from set were legendary – once you were in at Mad Men, you were in, they kept their extra’s around, sometimes bumping them up – once you were a secretary there, they kept you. I’d listen intently to the notice: “Brunette, shoulder length or longer hair (some times they wanted shorter hair and I swear I would have cut it), size 4-6” I’d listen mentally checking the boxes, but every time, without fail, I was too tall. They wanted their secretarial extras to be tiny, presumably so Don Draper, at 6ft 2 could tower above them. 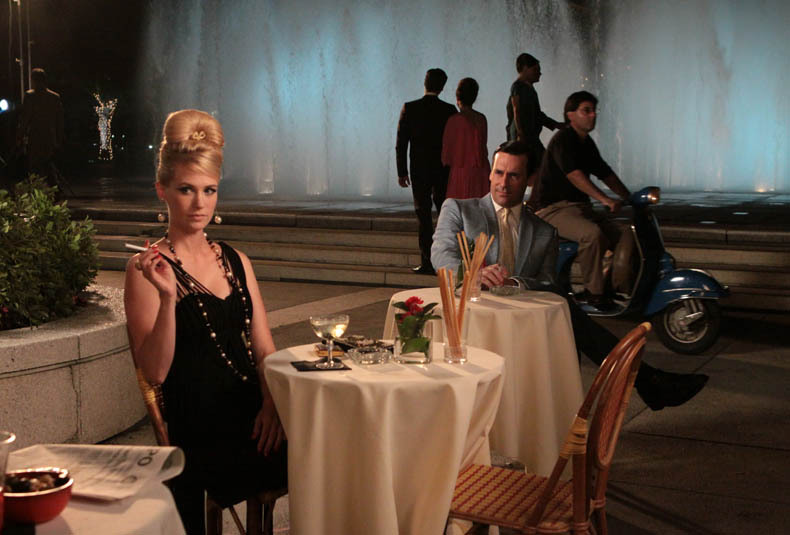 Mad Men is filmed, in part, at Los Angeles Center Studio’s in downtown Los Angeles. I’ve filmed there a number of times, and every time I was there I had to stop myself from creeping onto the Mad Men set. Just for a peek. This little stroll down memory lane lead me to thinking about Los Angeles’ role in the show. For a show that is iconically a New York City show – it’s filmed, almost entirely in Los Angeles and it’s surrounding area. 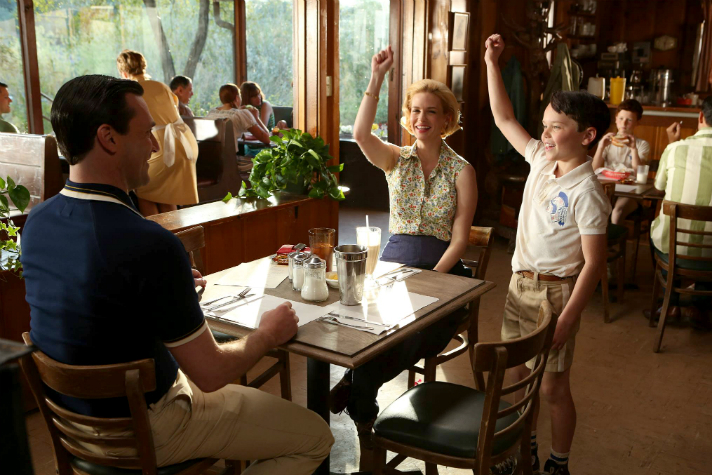 Watching it as an Angeleno (especially one with a penchant for vintage dining, buildings, drinking….) can be quite the experience. 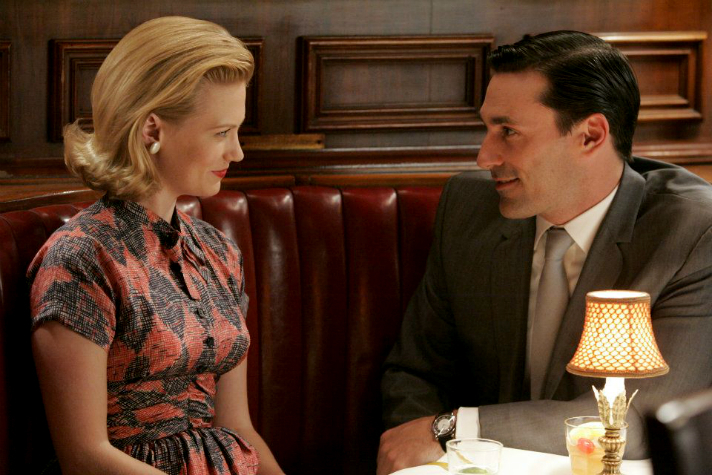 So to honor the end of Mad Men, and my dynamically wonderous city, here is a round up of the times Los Angeles was the real star of Mad Men. 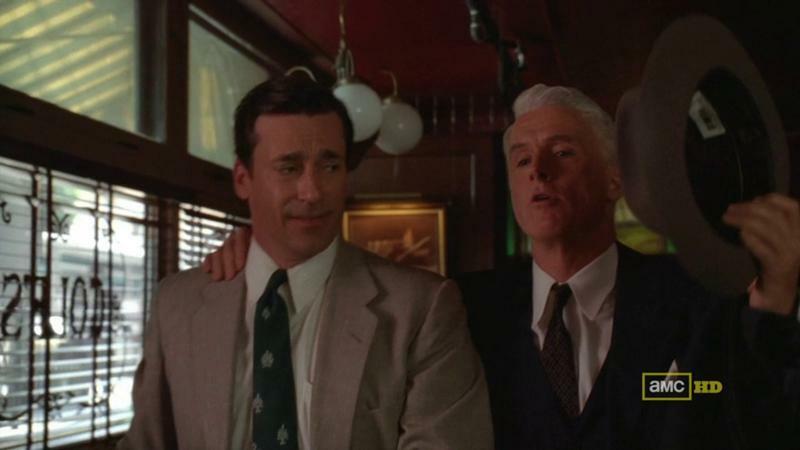 Coles, Cicada, Casey’s, Cliftons (pictured top to bottom) Apart from having an enormous amount of alliteration in common, they also have Mad Men in common. All of these venues have played a part in the show. Coles set the scene for Don to become an ad man, Cicada stood in for the Waldorf Astoria and the venue for the Clio Awards, Casey’s Irish Pub played New Yorks Iconic PJ Clarkes and Cliftons (currently undergoing renovation and to open soon, I really cannot wait!) played a Baltimore restaurant. 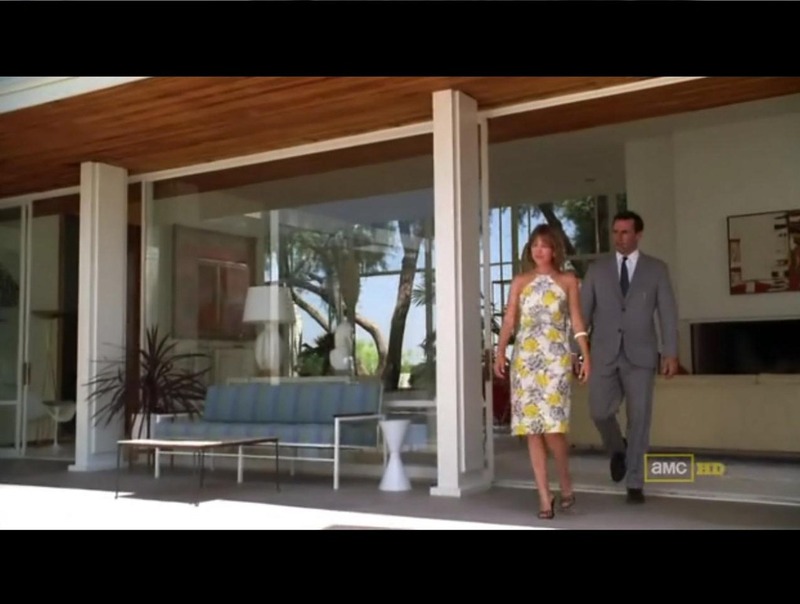 In “The Jet Set” Don Draper is whisked away to Palm Springs for a dalliance in bohemian decadence (an oxymoron maybe, but quite accurate). In actual fact he is not whisked away to Palm Springs at all, but Frank Sinatra’s former residence, “The Farralone”, in Chatsworth. In one of the more “no brainer” location swaps, Los Angeles Athletic Club stands in for New York Athletic club, allowing for Jon Hamm in a Speedo. The Millennium Biltmore Hotel in downtown Los Angeles has played host to Mad Men many times. 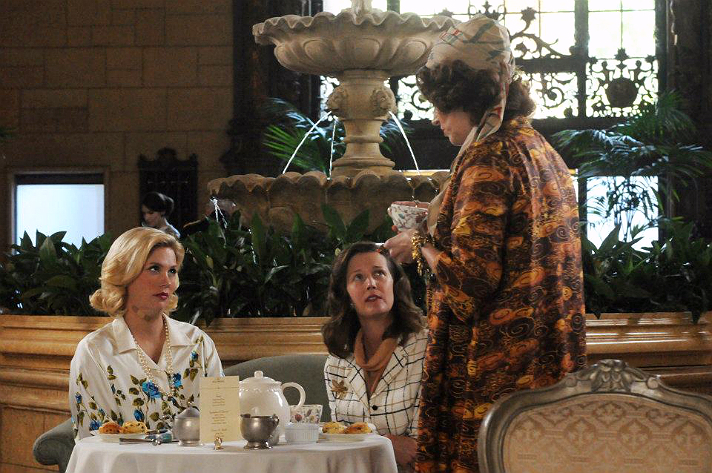 Joan has been spotted drinking at the bar and Betty has taken tea in the lobby. The hotel is absolutely stunning and worth popping in for a peek of their beautiful lobby. Korea Town – thanks to its vicinity to Wilshire and DTLA is home to a number of classic bars and restaurants that have retained that vintage feel. The Prince (also featured in The New Girl) and HMS Bounty are two of those bars, both of which have stood in for fine dining NYC style. Except L.A style. We do it better anyway. 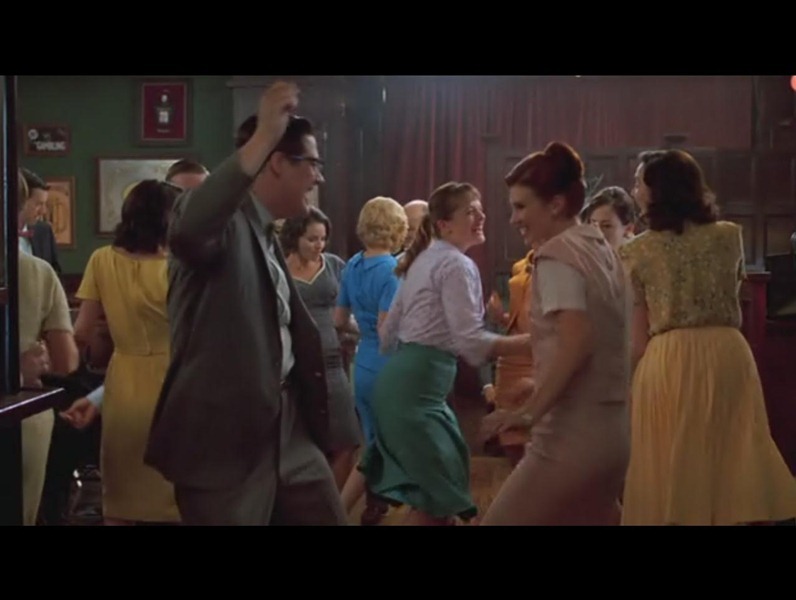 At this point in writing this I’m ready to go on a Mad Men Bar Crawl. Who’s with me?? I love this walkway at LAX. It’s about the only thing I love about LAX. It’s so colourful and such a nice welcome home, every time I pass it I want to selfie by it, or take a photo, but I’m usually to luggage laden or tired to care. 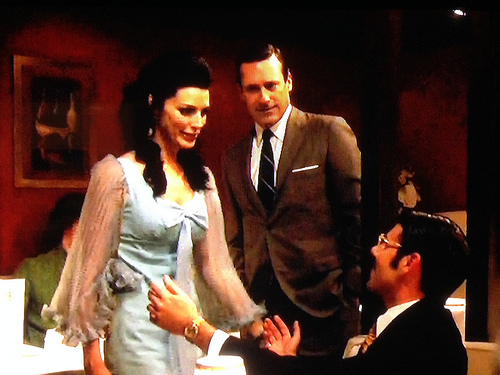 Still it was nice to see immortalized in this episode of Mad Men. Fun fact though – the outside scenes at LAX – not LAX, but a defunct terminal in Ontario! 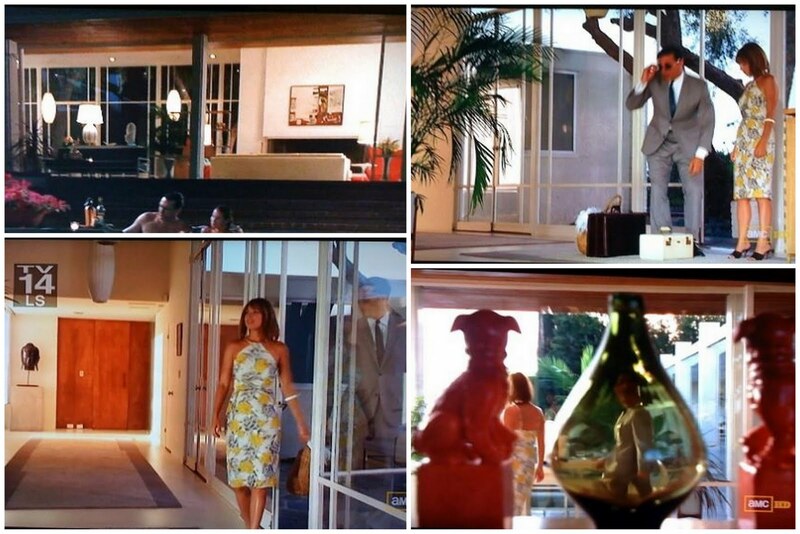 Dresden Room in Los Feliz happens to be one of my favourite L.A spots, immortalized in TV and Film many times, it was only fitting that Mad Men had their turn. 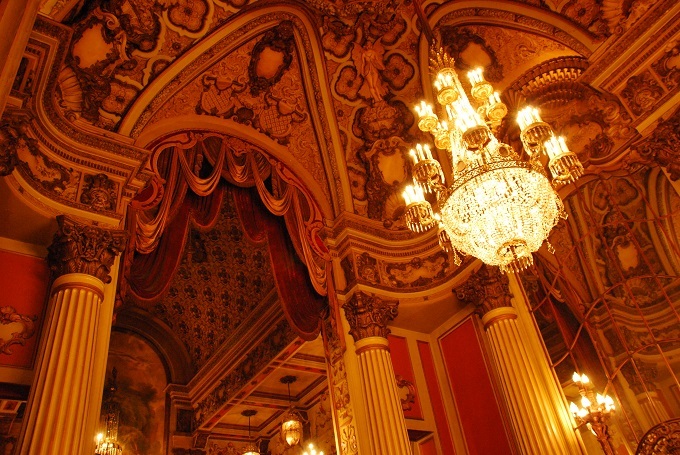 Frustratingly I was unable to find a still from when Mad Men actually filmed at the Los Angeles Theatre on Broadway, but it was a stand in for NYC’s Broadhurst Theatre in Season 1 of the show. Descanso Gardens is somewhat of a Los Angeles secret, hovering above Glendale, in La Canada, it’s Huntington’s quieter, subtler sister and played a pit stop for the Draper’s on their way to Bobby’s Summer Camp and the Camp Diner in Season 6. The list doesn’t really end here, Three Clubs? Canters? Musso and Franks? Also great locations, but lists generally stop at 10…. right? For even more locations (Bob’s Big Boy? Rod’s Grill? 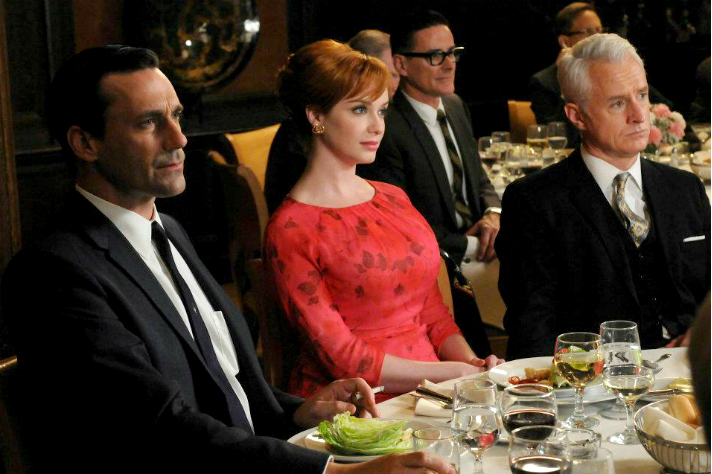 Seriously SO MANY) here are some fab resources, so you can keep living Mad Men, long after it’s gone. Alright. Off to watch the finale. SOB.